The ability to handle all your bid preparation and planning online is yet another way Projectmates construction project management software is helping clients transition to an all-digital process. There's no longer a need to prepare bids on paper that are submitted to contractors by hand or mail. It's all electronic, effortless, and highly efficient. 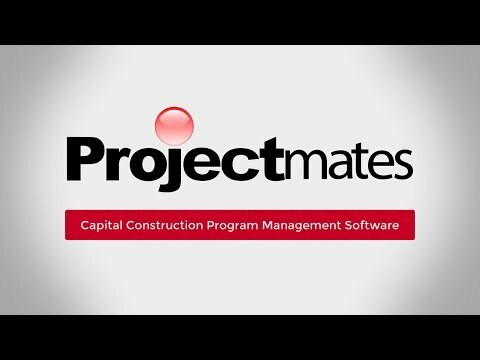 Projectmates construction bid management software provides a fully collaborative 2-way bidding system; your project team members create bid solicitation requests and publish information to the virtual plan room. Contractors register to view bids through a separate registration process that then subscribes them to those specific bids. Bid subscribers are able to view and download a wide range of bid documents, and automatically receive addendum notifications. Subscribers can also participate in the Q&A area and submit bids through Projectmates Bids and Plan Room. Projectmates construction bidding system is designed as a flexible set of tools that is efficient and convenient for all parties, making it a win-win for bid managers and bidders. Bidders submit bids directly in Projectmates, eliminating the need to manually consolidate all bids for comparison. Cut time and reduce confusion by letting Projectmates generate the bid analysis.